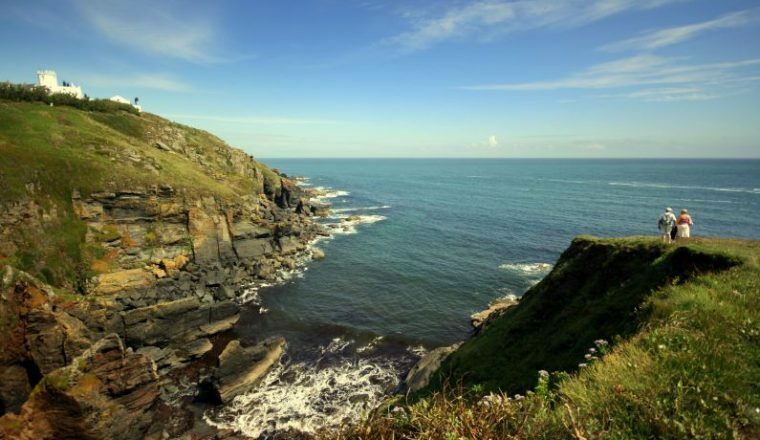 The Lizard Peninsula in Cornwall is the southernmost part of Britain and an area of astounding beauty. From the start you enjoy views of the well-known silhouette of St. Michael’s Mount, and go on to see marvellous wild flowers and birds, perhaps even catching a glimpse of a Basking Shark. There are also endless views of romantic creeks and breathtaking cliffs. This is a rewarding, easygoing, self-guided walking holiday. 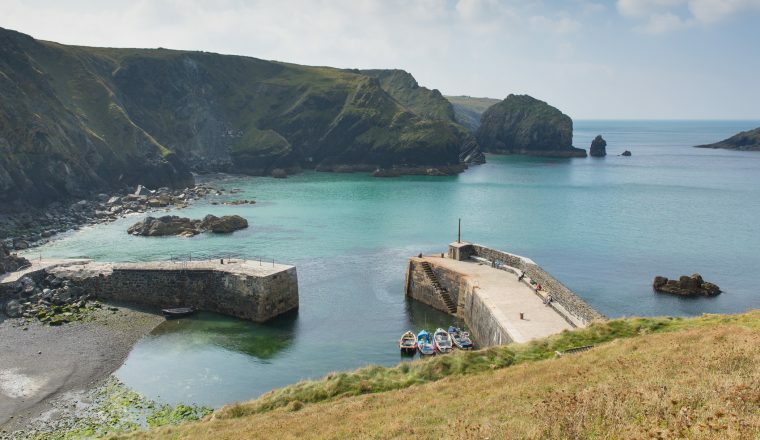 The Lizard Peninsula in Cornwall is the southernmost part of Britain and an area of astounding beauty. From the start you enjoy views of the well-known silhouette of St. Michael’s Mount, and go on to see marvellous wild flowers and birds, perhaps catching a glimpse of a Basking Shark. There are also endless views of romantic creeks and breathtaking cliffs. This is a rewarding, easygoing, self-guided walking holiday. A single-room supplement is £175. 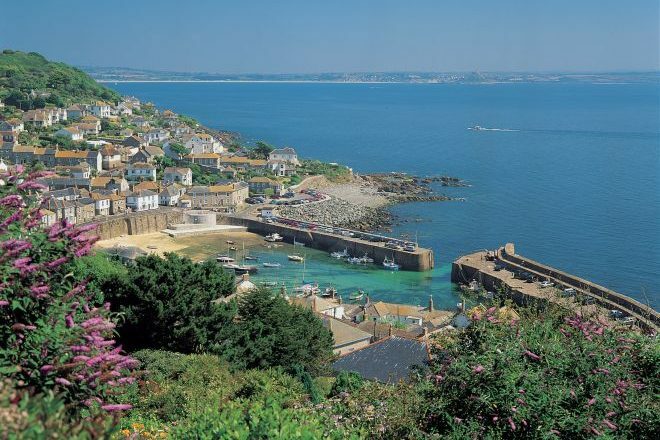 Enjoy this small, busy town with long promenade and views to St. Michael’s Mount. The first day’s walk is a leisurely walk from Penzance to Marazion. St. Michael’s Mount dominates as you walk to the ancient town of Marazion – the oldest town in Cornwall – founded 1257. In the afternoon, there is time to visit St. Michael’s Mount – you can walk across or take the boat, depending on the tides. Allow 2-3 hours and be aware that the Mount is closed on Saturdays. Return to Penzance by local bus for second overnight. Alternatively you may choose to take the bus to Marazion and walk back to Penzance. A mixture of B&Bs, inns and hotels are available along this route. Penzance Train station has a good connection to Exeter, Bristol, London and the rest of England. 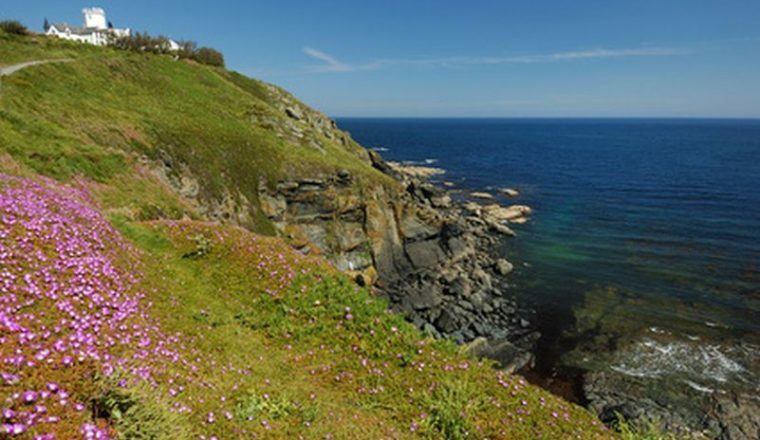 At the end of the holiday, take a bus from the Lizard to Penzance train station.